As I supposed the rest of the final Swedish House Mafia's pack has arrived relatively fast, team has presented video for their last monster-hit "Don't You Worry Child" and it has turned to be a nice documentary. 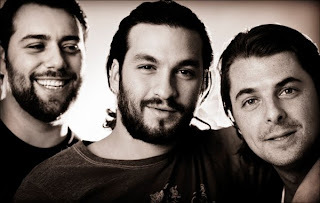 Pretty logical decision summarizing some SHM's bright moments. The song has gone directly Top-2 in Scandinavian iTunes-charts and the rest of the world is on the way.